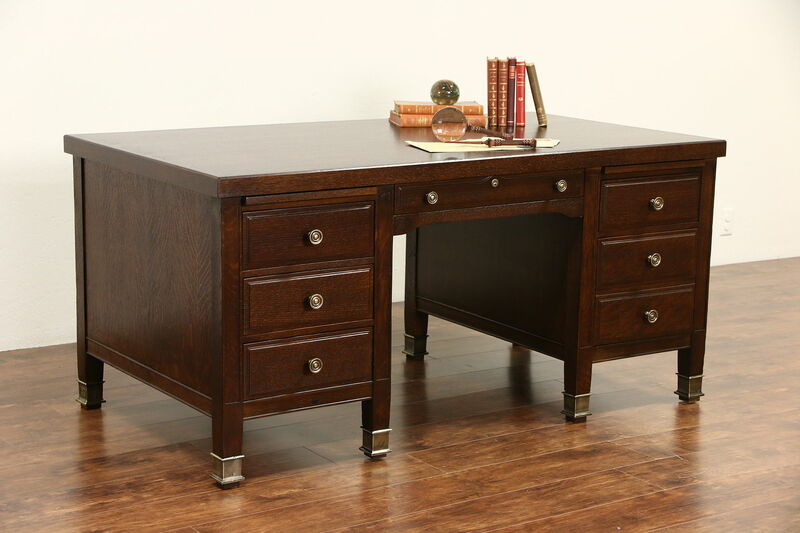 An authentic Arts and Crafts period desk is quarter sawn oak with richly figured grain. The restored deep finish is in excellent condition on this antique library or executive furniture. Patinated cast brass feet and knobs are original. American made antique Craftsman furniture, deep drawers have dovetailed joints. There are two pull out shelves and a file drawer. Measurements are 66" long, 36" deep, 31 1/2" tall, the kneehole is 25" wide and 24 1/2" high.